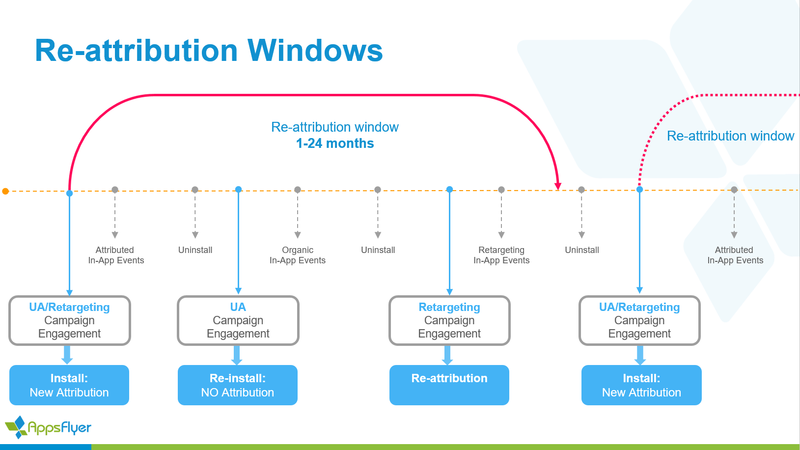 The Re-attribution window is a time frame starting from the first install time during which re-installs are not attributed as new installs. These re-installs are not counted, and do not generate new install postbacks accordingly, unless they originate from a retargeting campaign. The Re-Attribution window can be viewed and updated by account owners in the App Settings page. 90 days (3 months) is the default setting and the available values are between 1 - 24 months. Set out below are examples of install attribution use cases. A lead (who never had the app installed) engages with either a user acquisition or retargeting campaign and installs the mobile app. After the first app install, the user uninstalls and re-installs during the re-attribution window. After the first app install, during the re-attribution window, the user uninstalls, then engages with a retargeting campaign and re-installs. This is called a re-attribution. 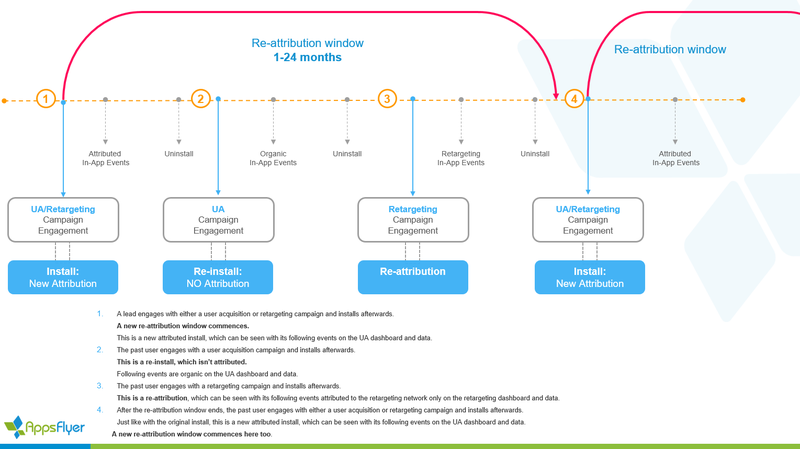 For more Retargeting Attribution information, click here.